In this essay, environmental historian Marco Armiero presents three metaphors of the Anthropocene and discusses why words, and class, still matter. Periodically humans have to pay for their sins. Last time that a more than human entity asked them to pay the bill, it was the Deluge. Maybe everything starts from there. It might be that Noah’s Ark is at the origin of the association between disasters, even the global ones, and ships. After all, the ark became the symbol of salvation, and still today the global bank of seeds located on the Svalbard Islands is called the ark. Also, in science fiction the trope of the ark has often been employed to signify the last resort of human species in the face of some apocalypse. Stephen Baxter’s novel Ark is quite explicit proof of this, but one can also mention a popular post-apocalyptic TV series, The 100, where the last survivors of humanity are hosted in a space station called the Ark. In my essay I aim to explore the tropes of the boat, the shipwreck, and the global apocalypse. I will do so by employing some actual histories as metaphors; I ask the reader to go beyond the factual stories and envision them as metaphors for my arguments. For this reason, I have selected stories to which the reader can easily relate, precisely because what matters for me is the narrative that the story conveys in the popular imaginary. The expression: “we are all in the same boat,” which is common to so many languages, is a good approximation of the mainstream discourse of the Anthropocene. This image communicates that the planet is in danger and all humans are equally responsible and affected. The boat gives the sense of the finitude of the planet and the shared destiny of humanity. As on a boat, so on Earth the crew is obliged to cooperate in order to cope with the perils of the open ocean and the intrinsic limits of the vessel. We can almost still hear Al Gore preaching that climate change is not a political issue, but a moral one in which all humanity is entangled. A planetary “we” is the obvious corollary of Al Gore’s moral claim. Humanity is the crew of the global ship navigating the troubled waters of the Anthropocene. Evidently, the ship metaphor also conveys the idea that there is no way out of the Anthropocene; the vessel is finite and there is no other ship waiting for humanity if the current one should sink. Actually, the most scary development of the Anthropocene narrative is the recent Hollywood push towards a new cowboy era of space frontiers which seems to suggest that humans can destroy the Earth and live happily ever after on some other planet (as in Interstellar). The notion of finitude must go hand in hand with the awareness that another ship will not be available. Already in 1966 the non-conventional economist Kenneth Boulding had expressed this concept, referring to different kinds of ship metaphors. Boulding used the expression Spaceship Earth to conflate the finitude of our planet with that of a spaceship. Both were closed environments which had to maintain their ecological balance in order to function. In this sense, the spaceship is even a better metaphor than the regular ship; not a troubled ocean, but the inhabitable space surrounds the ship known as Earth, making any idea of leaving the boat not only dangerous but just absurd. The late 1960s and the early 70s were the perfect years to speak of the planet in those terms. 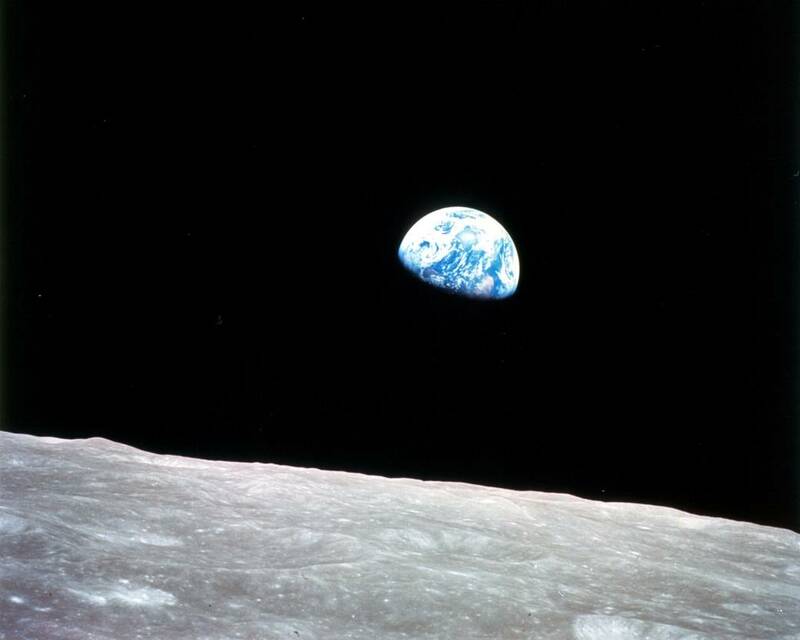 The iconic Earthrise, captured by astronaut William Anders, and the oil crisis of the following years conjoined in offering a new image of the Earth: the planet was no longer an infinite land to exploit, but a fragile ship floating in the middle of a dark universe. The ship worked very well as a metaphor because it implied both its finitude and its fragility navigating an almost hostile environment. For the environmentalists, Spaceship Earth provided the discourse about the limits of the planet. After all, in 1972, the Club of Rome published the well know report The Limits to Growth which systematized on a “scientific” basis the assumptions on the finitude of the planet that the ship metaphor was suggesting. At more or less the same time, another ship started floating in the scientific and public debate about the ecological crisis. In 1974 the famed author of the Tragedy of the Commons Garret Hardin published the article Lifeboat Ethics in Psychology Today. Again the metaphor of the ship was used to explain the physical limits of the planet. In this case, the limits were tested vis-à-vis demographic growth rather than in relation to the continuous expansion of capitalism or, to use a more politically-neutral discourse, of consumerism. Hardin described the appalling situation of a lifeboat surrounded by a large number of castaways, arguing that saving all of them would imply the shipwrecking of that very lifeboat. Someone had to die in the ocean in order to ensure that at least the people on the lifeboat could survive. Rescuing everybody was not feasible in the lifeboat’s ethics. Apart from the extremely unpleasant taste left behind by Hardin’s metaphor, the lifeboat he described was deprived of any historical and social context; it just happened that some landed in the boat and others in the ocean. How this occurred seems a matter of fate rather than violence, expropriation, and power. However extreme the lifeboat ethics might seem, the obliteration of history and power remains quite common in the ship metaphors of the Anthropocene. The parable of the lifeboat helps me introduce the topic I want to address and even leads us quite vividly to the main story I wish to employ. This is a story I am sure all readers know very well, but I hope I will be able to suggest new ways of looking at it. On April 10, 1912, progress set sail from the harbor of Southampton in the form of a black, gigantic ship, equipped with the best technologies of that time, including a high-power radiotelegraph transmitter and remotely activated watertight doors. Nonetheless, as sometimes occurs with highly complex technological tools, the Titanic missed a much more basic piece of equipment, namely enough lifeboats. Therefore, when on the night of April 15th the ship struck an iceberg, almost 1700 people died. Of all the ship metaphors, that of the Titanic is most precisely a metaphor of the human condition in modern times. I believe that many of the typical discourses of the Anthropocene materialize in the story of the Titanic. First of all, that story speaks of the myth of the unsinkable ship: the Titanic embodied the modern western belief that our world is unbreakable. Progress cannot be stopped and human ingenuity has always overcome any obstacle. Considering the material as well as the metaphorical Titanic, everything seems too perfect, modern, and efficient to even contemplate the possibility of a complete breakdown. The warnings about the coming disaster are always seen as the ill omens of professional pessimists. The myth of the unsinkable ship—or, if you wish, of eternal progress—is connected to another discourse which is central in the story of the Titanic, namely the total faith in technology and expertise. The modern nature of the ship, which protects it from any accident, relies on the technologies employed; an old fishing boat with no up to date gadgets would never function as a metaphor for modernity. The deployment of technology implies by default the need for highly specialized experts; the Titanic as well as the Anthropocene ship work with instruments that are so complicated, that only experts can steer them. The Titanic is also a story of the apocalypse and, after all, the apocalypse is one of the main tropes in the Anthropocene. The tragic epilogue of the story suggests that in spite of all the technology and expertise, nature strikes back, oddly enough in the form of an iceberg. In the context of climate change, with the melting ice as the global icon of the coming catastrophe, the iceberg functions as the ship’s perfect nemesis. 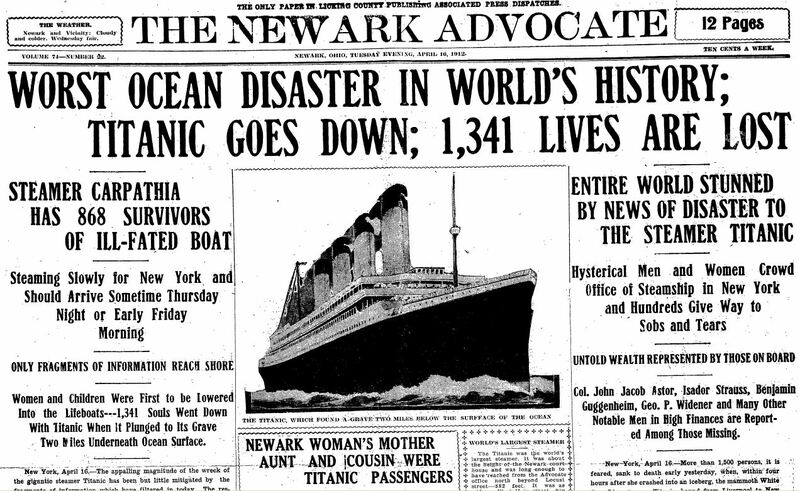 Indeed, compressed between technological optimism and natural catastrophism, the Titanic seems the ideal Anthropocene tale. It contains the technological hubris, and the inability of leadership to foresee the disaster and to take timely measures. The Titanic, though, is not only an accusation against experts and leaders; it does not leave the general public untouched, like a victim without responsibilities. The image of the passengers dancing blithely in the hall while the disaster is approaching symbolizes humanity’s complete and utter disinterest for the common destiny of the planet. It does not matter whether they were actually dancing or sleeping on the Titanic; either way, they were not vigilant, but rather confident that nothing could ever touch them. Thinking of ship metaphors for the Anthropocene, the Titanic seems like a perfect fit. Nonetheless, to complicate the discussion, I would like to suggest another ship story, one that does not fit so neatly into the Anthropocene narrative. Basically, I was looking for a ship metaphor which could disrupt the story-line of the Titanic and of the Anthropocene, emphasizing inequalities and power relationships instead of technologies, expertise and moral duties. Staying within the maritime environment, I clearly needed a mutiny; hence, the Bounty became my obvious ship of choice. The Bounty is the mutineers’ story par excellence, etched in our imaginaries by several Hollywood reinventions of the actual facts. As I explored this story further, I discovered a rather unpleasant development of the rebellion that involved the slaughtering of natives and the kidnapping of indigenous women. Even in very recent times, the reputation of the descendants of the mutineers has not improved. Obviously, there were other mutinies, maybe less controversial, but in the end I decided to employ the Bounty merely as an archetype of the very action of mutiny; therefore, I invite the reader to join me in playing with the meanings this story mobilizes. First, the ship is never isolated, and it cannot be understood as a closed technical-management complex. This is true for both the Titanic and the Bounty. The Bounty was embedded into a network of imperial class relationships of which science was also a part. The Bounty was supposed to transport breadfruit plants from Tahiti to the British colonies in the West Indies with the idea that these plants might grow well there, providing cheap food for the slaves. The botanists working on the Bounty were instrumental in this quest for finding cheap fuel for the machine producing the wealth of the Empire, that is, black slaves. The absence of any understanding of the wider network of power in which the material and metaphorical ship is embedded is ingrained in most of the Anthropocene narratives. In thinking of the Titanic, the weaknesses of the ship, the mistakes of captains, and the disinterest of the people on board are the recurring reasons used to explain the ultimate failure of the ship. I am employing the Bounty in order to argue that the ship must be understood within a web of social relationships: this implies that the ship cannot be saved from the disaster without understanding how that very ship is actually a function of the disaster. Sometimes I wonder whether the ship must be saved at all. For me, the Bounty is a metaphor which reminds us that despite what the Titanic narrative proposes, in reality it is not the size of the ship, the technology employed, or the capability of the leader that matters. The metaphor of the Bounty allows me to lay claim to the need for the mutiny, for taking over the ship, changing its route and leaving the network of relations in which it was embedded. Once again, I am not pointing at the Bounty story as an example—actually the mutiny of Kiel might be a much better example—but I wish to use its evocative power to reclaim the space of the mutiny and the possibilities it opens up. The metaphor of the ship brings with it a heavy cargo of discipline, expertise, chain of command, etc. In the face of all this stands the mutiny. The Bounty metaphor challenges the naturalization of social relationships in the Anthropocene so explicitly spelled out in the lifeboat ethics of Garrett Hardin, where someone happens to be drowning in the sea while others are safe and sound on the boat. But the mutiny also challenges the de-politicization of the Anthropocene, which is so strong in the Titanic version. Poorly engineered design, shortsighted leadership, disinterested passengers, and an unfortunate combination of nature fighting back are the basic ingredients of that story. I would, however, like to shift the attention from the ship to the social relationships inscribed in that ship. 75% of the poor in the third class died, only 25% of those in the first class. The Anthropocene is thus a reification of relationships. That narrative transforms relations into a thing, claiming that the only possibility for change is to improve the thing. The mutiny, by contrast, means to change the relationships, and in the very process of changing them, the route of the ship will change as well. When I proposed the title and the abstract for my essay the refugee crisis in Europe had not exploded so dramatically. Indeed, hundreds of ships are crossing the Mediterranean. Those are all third-class ships, all lifeboats carrying the survivors of wars, occupations, poverty, expropriation, and environmental changes. Thousands did not make it and ended their journey in the waters of the Mediterranean. The rest, the lucky ones, must face the borders of fortress Europe: confronted by our democratic police at the borders, left on the streets under the rain, they find themselves targeted by a frightening wave of xenophobic and neo-Nazis parties flourishing in a Europe in crisis. As intellectuals, academics, and environmental justice activists we must raise our voices. Welcoming the refugees is a moral imperative. We might say that there is a humanitarian argument supporting the cause of hospitality. However, there might be something else as well. There are ancient words, now completely spoiled, corrupted by the tragedies of history, which nevertheless I would like to restore. Wouldn’t it be beautiful to restore words as we do with pieces of arts, buildings, even ecosystems? Proletarians from all countries unite. I know, some readers will smile, thinking that even to pronounce these words is at best inappropriate; others might even be outraged, thinking of the history connected to those same words. Instead, I think that they would serve as a great starting point for the perfect mutiny in the tempest of these current times. 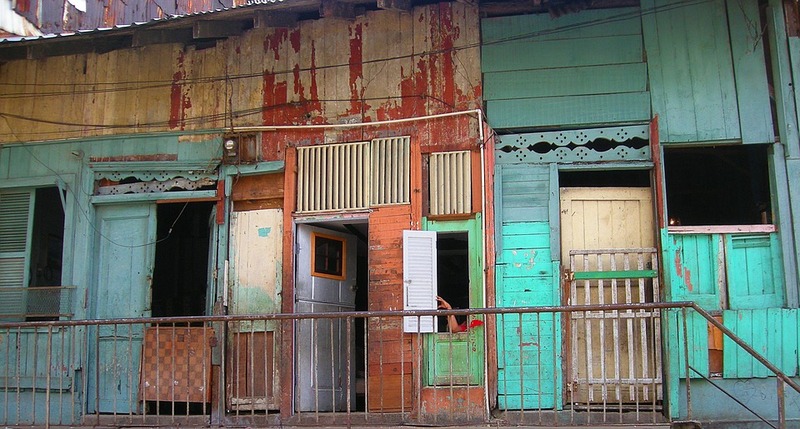 Plus, as environmental historians have taught us, restoring is always reinventing. Those who have seen the kids playing in the shadows of the chimneys in Villa Flammable, a slum in Buenos Aires; or the bodies of the 1000 workers killed in the collapse of the Rana Plaza factory in Bangladesh; or those who have met, even only through the movie Toxic Amazon, Ze Claudio and Maria, killed for fighting against the illegal logging in the Amazon; those who have seen the slums of Durban, South Africa, and the gated communities of the rich whites with armed guards. All those among us who have seen these things, or at least who do not wish to ignore them, will understand what I mean, because they know—we all know—that we need to find the reasons and the words for a new global coalition which does not aim to make the system work, but to change the system. Unite: we are the 99%. Let’s occupy the Anthropocene, before someone also places armed guards at the gate of our academic debate. * Marco Armiero is an environmental historian and political ecologist. His main topics of study have been environmental conflicts, uses of natural resources, politicization of nature and landscape, and the environmental effects of mass migrations. he is the director of the KTH Environmental Humanities Laboratory at the Royal Institute of Technology, Stockholm. This essay was originally published in 2015 in Intervalla, as part of the volume devoted to Environmental Justice, ‘Collapse’ and the Question of Evidence.